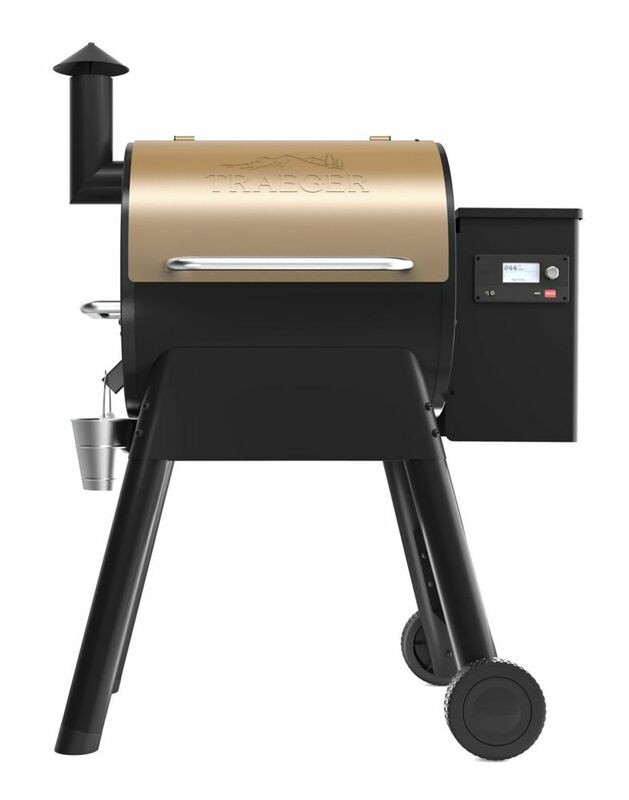 Traeger's Pro Series is the best-selling wood pellet grill in the world, and it just got better thanks to an enhanced controller that integrates Traeger's WiFIRE technology, which allows you to access your grill anytime, anywhere, giving you the ability to monitor your food's temperature and adjust accordingly right from your smartphone with ease. Plus, with the brand-new D2 drivetrain, the Pro 575 now features quicker start times with better smoke quality, so you can grill faster, more consistently and with better flavor. Pro 575 Smart Phone Controlled Wood Pellet BBQ in Bronze Traeger's Pro Series is the best-selling wood pellet grill in the world, and it just got better thanks to an enhanced controller that integrates Traeger's WiFIRE technology, which allows you to access your grill anytime, anywhere, giving you the ability to monitor your food's temperature and adjust accordingly right from your smartphone with ease. Plus, with the brand-new D2 drivetrain, the Pro 575 now features quicker start times with better smoke quality, so you can grill faster, more consistently and with better flavor.